Modern design within the mountain context. 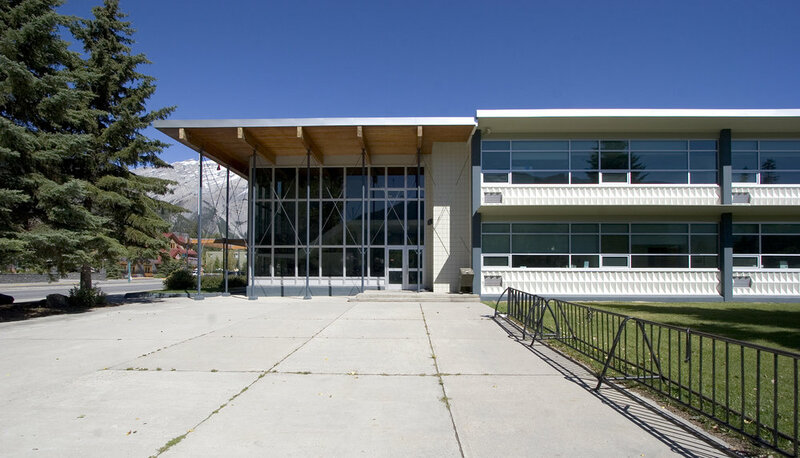 An important example of mid-century modernism in Banff, our design undertook a significant modernization of the interior of the school and improved envelope performance while preserving the historical exterior appearance. 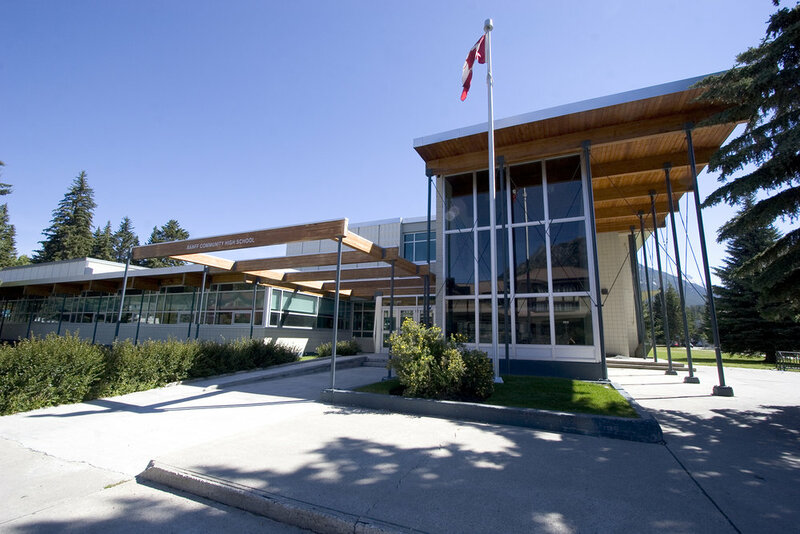 The modernization provided enhanced classrooms, CTS spaces, new art and construction technology shops, computer labs, offices, a community gymnasium, and a new student gathering space (or “great hall”) for collaboration and student-directed learning. The principle technical challenges concerned the modification of an existing structure that was built over many years in multiple phases. Resolving these issues required a holistic, big picture approach to identify the most appropriate - and often the least invasive - design strategies. The strategies to rightsizing and completely modernizing the existing school were developed from a feasibility study and need assessment study also undertaken by GEC. 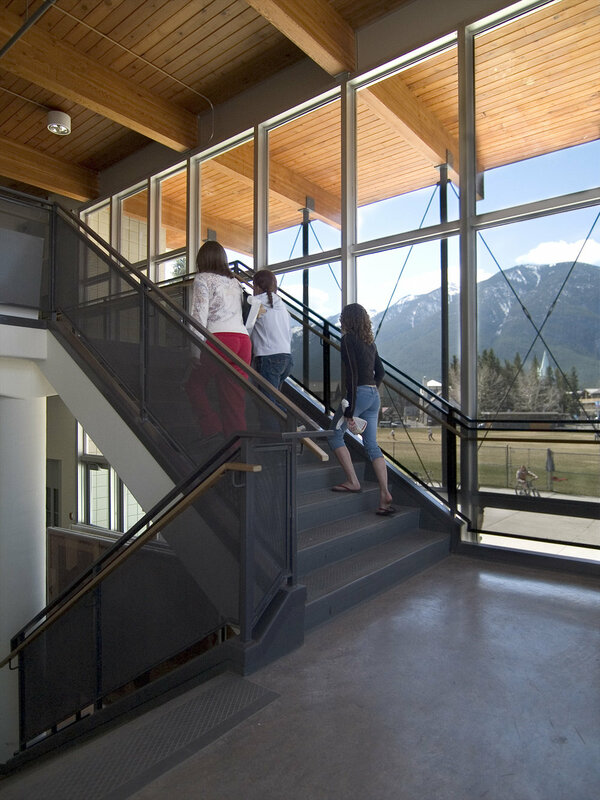 The renovated high school was the first LEED certified school in Canada, incorporating standards for developing high performance, energy efficient, sustainable buildings. In addition, the school received the Council of Educational Facility Planners International (CFEFPI) Award for Outstanding Design for Educational Environment Modernization.